You have, I hope, noticed this. 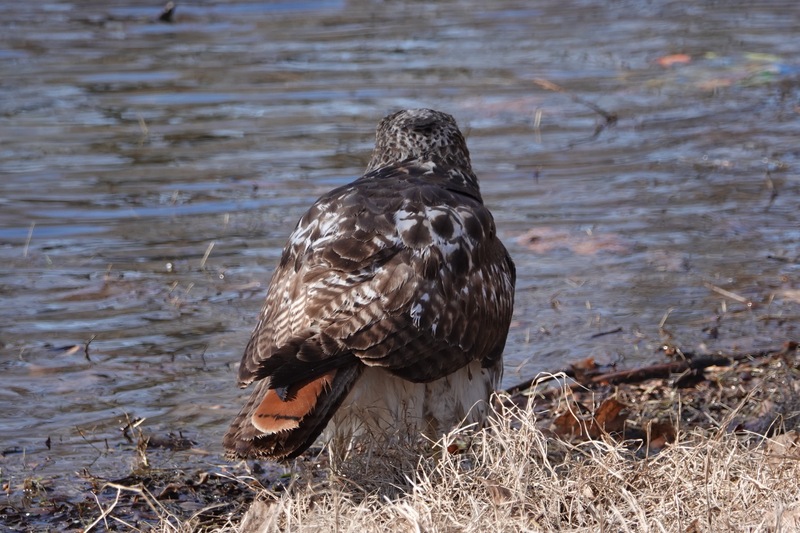 This Red-tailed Hawk has a single red tail feather. The bird is less than a year old, and with luck will celebrate its birthday this summer. Right now, it’s maturing, a process that includes losing its old tail feathers and growing new and rather different ones. By its first birthday, it should have the full complement of these rufous tail feathers, source of the species’ common name. 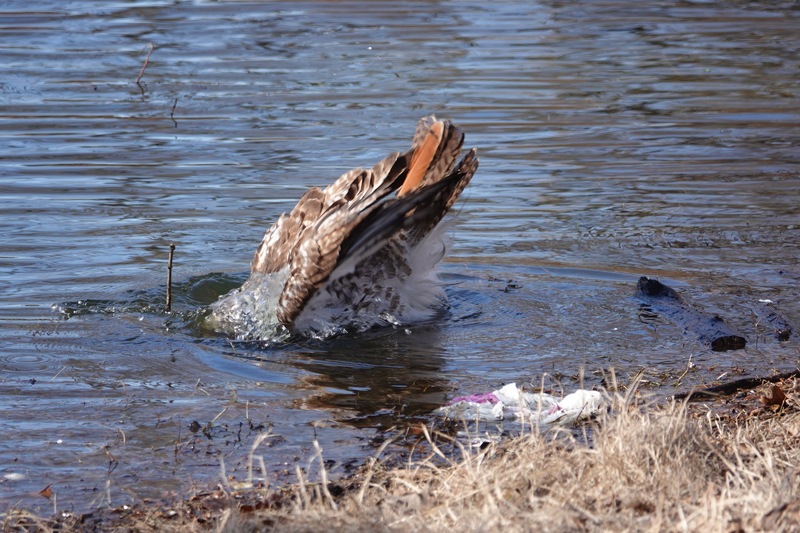 For obvious reasons, molting — the transitional replacement of feathers throughout the year — can’t all happen at once.